Han Rakels facilitated a few dialogue sessions to make new agreements about the role of community platforms and their collaboration with the community. During these meetings, people reflected on the status of current collaboration and all community platforms were invited to gain information and provide input. 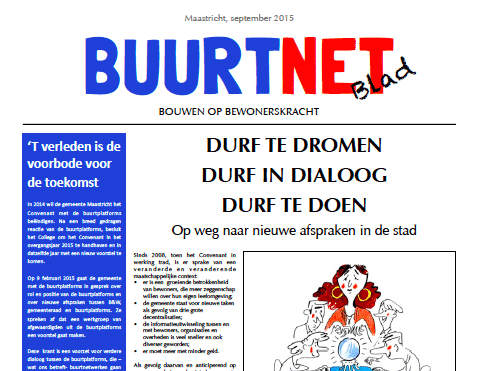 The results have been presented in the Buurtblad, a tabloid of eight pages about the communal vision on the role of community platforms. Perspectivity took care of the lay-out of the paper. This newspaper will soon be presented to the municipal council.